Socially awkward, nerdy, super hyper punctual, but conventionally attractive boy meets super quirky, chronically late, free spirited, but ultra hot girl. Antic occurs. Misunderstandings abound. Hilarity ensues. Rinse and repeat. 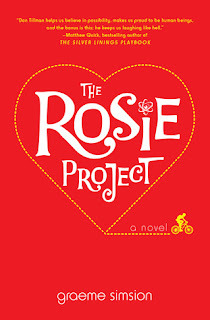 The Rosie Project is a cute book that harkens back to the now-classic rom-coms of the 90s and early 2000s. Sweet and easy, but don't dig too deep.